Hello and happy Friday! I've got 2 cards to share today. I haven't played along with the Runway Inspired Challenge in ages but I finally managed to join in this week. I think my inspiration is pretty clear. ;) I wanted to let the stripes be the stars of the show so I kept the sentiment simple. 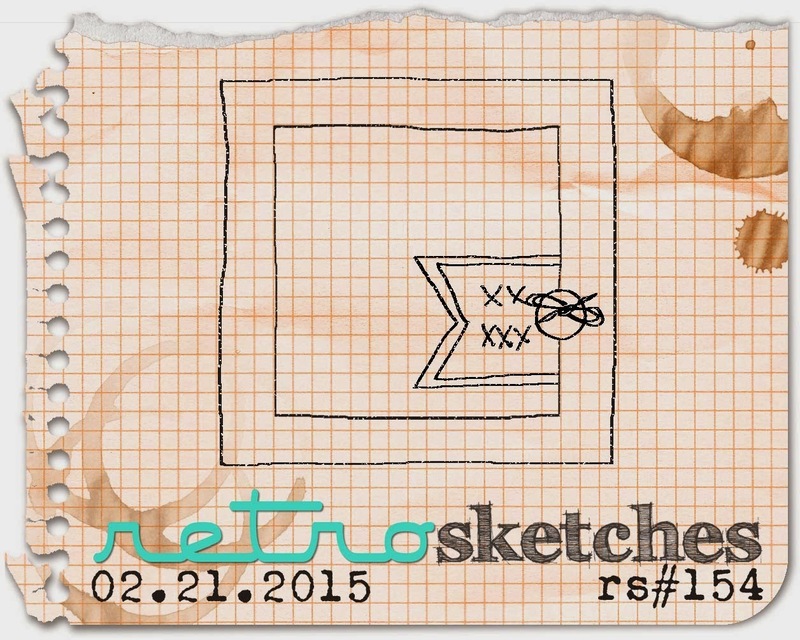 Card number 2 is for the current RetroSketches challenge. It's a great sketch for using up some patterned paper scraps. 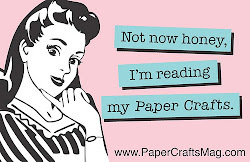 I was inspired by Tracey's card where she let her patterned paper shine. That's it for me today. I'm off to do the food shopping and then get this house cleaned up! Hope you all have a lovely weekend! These are totally, FUN! Love them! These are so good! I love how bright and graphic the first one is. The second one has great colours, and a hint of homespun look to it. The stacked banners are perfect! 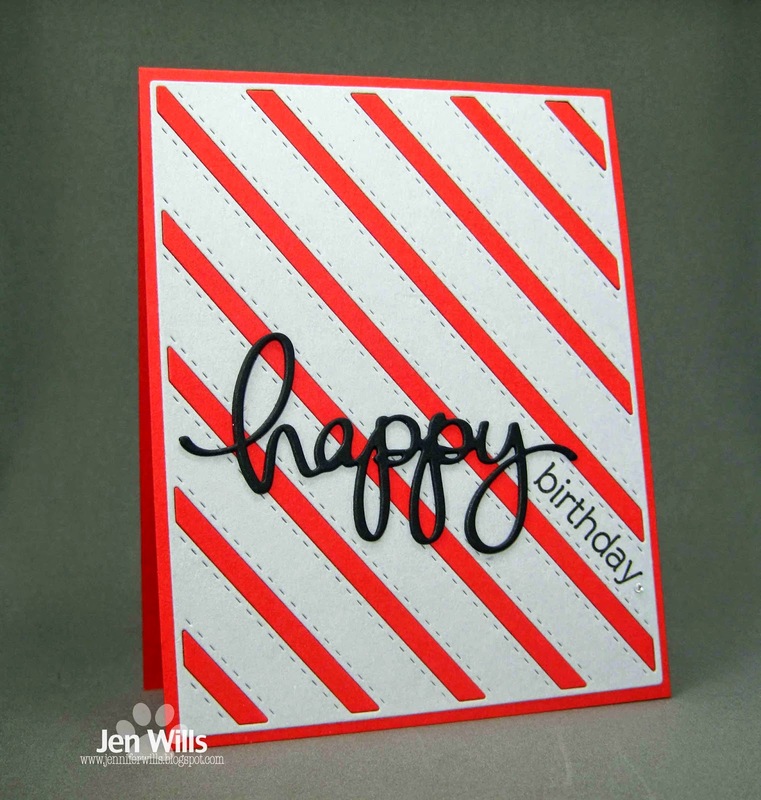 Your cards are fabulous Jen, especially love those bright stitcehd stripes on your Runway card, so clever! 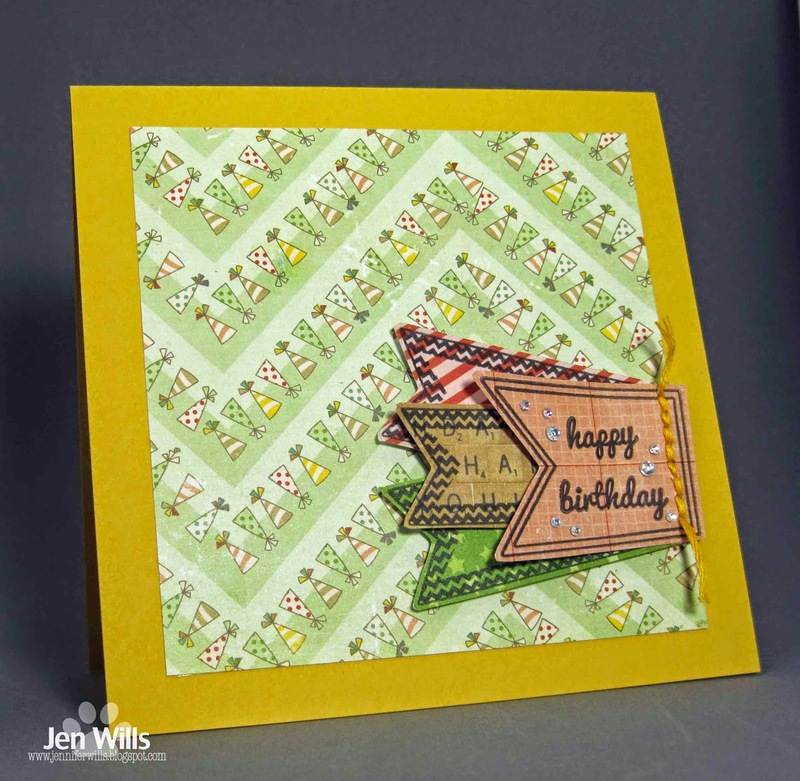 The stitched stripes die was a perfect choice for this challenge- great card! Thanks so much for joining us on the Runway! These are both fabulous! The stripes are stunning and a great take on the inspiration!